Do you want to learn the art of magic and illusion? Does amazing your friends appeal to you? 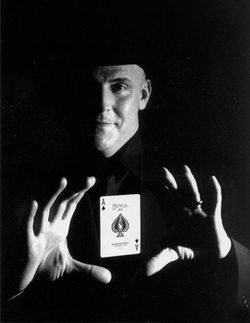 Want to perform card tricks? Or maybe you just like to know something others do not? If you want to learn magic then this is the place for you! Check out or packages. Got a class or any group of kids who want to learn magic and illusion? Crash School is just the thing for you. In Crash School your group will learn some fundamentals of magic as well as several magic tricks. For the educationally minded a brief history of magic can be included. Pricing varies. Visit the "Contact Us" page to learn more. The three rules of magic. Where and how to learn independently. How to perform in close up and parlor settings. Beginners School is graduated by passing a written exam and performing a simple magic show. Varying style training including card magic, levitation, mentalism, manipulation, and sleight of hand. Apprentice School requires the use of a text book Scrolls by Tim Converse. Apprentice School is graduated by passing a written test, performing an aptitude test, and performing a regular magic show successfully. The Jack Davis Magic Company Requires all students to take Apprentice School or to test out before taking Master School. While there does not appear to be as much in this course, it is actually the longest and most involved course in Jack Davis Magic School. When finished, the magician should feel comfortable with his magical abilities, be able to strike out on his own, market himself successfully, and perform quality magic. Master School Requires two text books (three if Scrolls is not already owned). Master School is graduated by passing two written tests, one verbal performance, successful establishment of an identity and website, and a professional level performance. Once you are here, Jack Davis Magic School will have taken you as far as we can. We hope to see you be successful and enjoying your magic! The prices listed are for a set number of lessons. If you feel you may need more help, you can purchase the Unlimited Lessons option. Regardless of which level of school you are enrolled in you can receive unlimited one-on-one sessions with a magician to ensure you get where you want to be. If you are planning on attending more than one level of Magic School you only have to purchase the Unlimited Lessons option once. 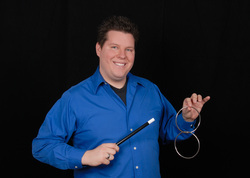 Note: While we do offer a quality magic education, Jack Davis Magic does not issues accredited diplomas of any kind.